Currently, there are only two evidence-based psychotherapies (EBPs) for PTSD endorsed by the Veterans Health Administration (VHA), Cognitive Processing Therapy (CPT) and Prolonged Exposure (PE). Randomized controlled trials (RCTs) for PTSD have traditionally focused on a reduction in PTSD symptoms, which are often anchored to traumatic events involving direct life threat or witnessing of death or injury. However, there is a range of post-combat sequelae that veterans confront, and a recent meta-analysis found that, despite receiving EBPs for PTSD, 60-72% of combat veterans continue to meet diagnostic criteria for PTSD, and their functioning remains measurably compromised (Steenkamp, Litz, Hoge, & Marmar, 2015). For some, it is not the fear associated with direct threat or witnessing horrific acts, it is doing violence (such as killing) that generates feelings of guilt, anger, and spiritual distress that increases risk of suicidal ideation and attempts, alcohol abuse, and other functional difficulties even after controlling for general combat exposure (Bryan, Bryan, Roberge, Leifker, & Rozek, 2017, Kopacz, Hoffmire, Morley, & Vance, 2015, Purcell et al., 2016). Growing evidence in the moral injury literature suggests that we need to expand our framework beyond the traditional fear-based traumatic response that is well addressed in existing EBPs for PTSD, to more fully respond to the wounds of war (Maguen & Burkman, 2013). The Impact of Killing (IOK) treatment reflects the culmination of nearly ten years of our research on the topic of killing in war and moral injury among combat veterans. In addition to quantitative research revealing that killing in war was associated with negative mental health outcomes (Maguen et al., 2009; 2012; 2013), we conducted focus groups with veterans of all eras to discuss their experiences with killing, the ways in which killing continued to impact their lives post-deployment, and how killing has or has not been addressed in existing PTSD treatments (Purcell, Koenig, Bosch, & Maguen, 2016) with an eye towards strengthening treatment in this area. The Killing Cognition Scale (KCS),a self-report measure assessing beliefs about killing in war, highlights prominent themes revealed in these focus groups (e.g., guilt/shame, self-betrayal of morality, loss of spirituality, condemned self, etc.). The KCS is a vital part of the IOK treatment, administered in the first session to identify areas of potential cognitive distortions as well as areas requiring acceptance, loss, and forgiveness work. IOK consists of ten sessions of weekly, individual psychotherapy lasting 60-90 minutes with a therapist who has specialized training in trauma. Ideally, veterans will have either completed an EBP for PTSD, or have engaged in some form of psychotherapy prior to engaging in IOK, given the brevity in which we review the cognitive-behavioral model and the intensity of emotion associated with moral injury. The treatment starts with completing the KCS and reviewing ways past work was helpful, as well as anticipating challenges of successfully completing the IOK protocol (see Table 1). The treatment then aims to destigmatize and further tailor interventions by reviewing common reactions to killing and other morally injurious acts. Subsequent sessions focus on parsing out killing-related beliefs that can be challenged versus those that will be earmarked for acceptance, forgiveness, and amends work. Acceptance work further identifies the impact moral injury has had on veterans’ lives and acknowledges both wounds inflicted upon veterans as well as wounds veterans have inflicted on themselves and others. The sessions on forgiveness explore how veterans define forgiveness, which often reveals numerous barriers to engaging in forgiveness of self and others. Our goal is to identify these barriers and collaboratively design assignments (both written and behaviorally based) that allow veterans to work towards greater self-forgiveness and forgiveness of others. Finally, we identify ways veterans can honor their morality by developing an action, or amends plan intended to carry the veteran forward throughout their life and encourage greater connection (e.g., time with loved ones, community service, time in nature, spiritual community) and improved overall functioning. IOK is designed to complement existing EBPs for PTSD, such as PE and CPT. We believe that many veterans will benefit from these treatments, and yet for some, offering a different frame might allow for further healing of moral injury that is related but not equivalent to PTSD. Below, we outline core differences of IOK from existing EBPs for PTSD. Distortions vs. Acceptance: Exposure (both in vivo and imaginal) and Socratic questioning with trauma reactions are powerful interventions that can challenge erroneous relationships made in the aftermath of traumatic events. These approaches offer much needed clarity around issues of context, responsibility, probability, and a wish for the event to never have occurred in the first place. However, for some veterans, it is not the distortions, but rather the clarity of our human capacity for destruction and cruelty that haunts them, and they may need more than what EBPs for PTSD offer. IOK makes this distinction explicit with veterans, acknowledging the need for acceptance and grief work around things they did or did not do that cannot be changed and violated deeply held beliefs about right and wrong. Acceptance work in sessions 5-6 often involves recognition of the sequalae that followed the moral injurious event(s) (e.g., withdrawal from loved ones, substance abuse, suicide attempts, etc.) and builds compassion for the emotions and beliefs that drove those behaviors (i.e., self-loathing, spiritual unmooring, disgust with humanity) while also taking responsibility for the impact of moral injury on themselves and others. IOK is explicit in the process of separating out beliefs that can be challenged to reveal a more balanced truth from those beliefs that need to be acknowledged as a painful reality and earmarked for a forgiveness and amends framework. Direct language: Focus groups with combat veterans of multiple eras revealed the importance of using the word “killing” in our assessment and treatment of combat experiences (Purcell et al., 2016). Some veterans reported that they had been in trauma treatment for years, even decades, and had never been asked directly about killing in war which made them think 1) killing was not an appropriate topic for treatment, and/or 2) clinicians might judge them if they volunteered that information. Veterans further revealed by using euphemisms for killing such as “taking lives” or “eliminating targets,” providers indirectly communicate that killing (even in war) is still unacceptable, as it cannot be named. In our interviews with trauma providers, there was unanimous agreement that topic of killing was an appropriate and important issue in treatment. However, providers also shared that they were either explicitly taught notto ask about killing experiences, given veterans’ report of insensitive and voyeuristic interactions with civilians, or they felt at a loss of how to broach the subject (Burkman, Purcell, & Maguen, in press). We have found two approaches helpful in initiating a conversation about killing. First, we believe that embedding questions about killing or other morally injurious events in the context of general combat exposure is a good way to destigmatize the topic and recognize that killing and engaging in acts that some may find crossed a personally held moral line is part of what we ask of our servicemembers when we send them to war. Like assessment with other traumatic events, initial information gathering may not be the time to ask about details of specific events, but to notask even a perfunctory “were you exposed to this?” may communicate that the topic is not suitable for treatment and places the onus on the veteran to self-disclose experiences of killing or other morally injurious events. Second, the development of the KCS allowed a shared language for providers and veterans to tackle this challenging topic. We inform veterans that the items on the KCS were generated by combat veterans of multiple eras and that some items may resonate while others may not apply. Again, this is a way for the provider to initiate the conversation about various ways veterans may respond to and make sense of killing while allowing for a wide range of responses. Forgiveness: Another important difference in IOK is our use of forgiveness as a conceptual anchor. We are routinely asked by colleagues why we don’t just stick with the concept of acceptance, since so many veterans have a strong, negative reaction to the word forgiveness. Acceptance is a critical component of forgiveness—acceptance of what occurred, acceptance of human and for some, spiritual (i.e., deity) fallibility, and self-acceptance around falling short or betraying one’s of moral self. Acceptance is an essential precursor to forgiveness, and particularly self-forgiveness. Self-forgiveness, which we focus on most in IOK, is an active process often rooted in veterans’ spiritual and/or moral upbringing, which is an area many providers express discomfort in addressing or report they have been trained to avoid as a topic of psychotherapy (Aist, 2012). However, exploring veteran’s moral and spiritual development is vital to understanding personal and cultural factors that influenced the moral injury and often reluctance to pursue self-forgiveness. Providers must invite veterans into these often-fraught conversations to learn what disturbs them so much about the concept of forgiveness and especially self-forgiveness. Acknowledging barriers to self-forgiveness is key. For example, some veterans believe self-forgiveness equates to condoning actions they felt were wrong, or “letting themselves off the hook” for something they shouldn’t have done, which might allow them to it again. Other veterans feel forgiveness (of self or others) is not possible without justice; therefore, they serve as their own judge, jury, and at the extreme, executioner. IOK does not promise agreement on a universal definition of forgiveness, rather, it explores the concept to allow veterans to define it for themselves and take specific actions to better understand what is needed to move towards forgiveness of self and others. The forgiveness letters often reveal powerful themes of remorse, loss, grief, and despair as well as wishes for how the veteran and humanity could be and what they hold most sacred. We argue that encouraging a conversation about why forgiveness is or is not possible allows providers to identify key areas of the wound and collaboratively build a plan (i.e., Forgiveness Plan, sessions 7-9) with veterans to acknowledge the wrong done, learn from it, grieve it, and commit to acting in accordance with one’s morality (i.e., Amends Plan, sessions 9-10) moving forward, targeting improved functioning and quality of life. Veterans who completed the pilot trial shared that the forgiveness assignments were by far the most challenging in the treatment and yet also the most powerful (Purcell et al., 2018). Catalyst vs. Resolution:We do not anticipate that moral injury will be resolved within a matter of weeks or even months, and we do not view it as a condition with symptoms that wax and wane (like PTSD). Rather, we view IOK as a springboard for continued work outside the therapeutic relationship and assert that healing is an ongoing process requiring persistent, active participation on the part of the veteran to accept, forgive, and move forward in a way that honors their sense of morality. In recognition of the weighty, existential nature of the questions veterans struggle with (e.g., human beings’ capacity for good and evil, karmic retribution, redemption, etc. ), it is critical that therapists using IOK offer space to lay out all the pieces contributing to the conflict without getting stuck in a rhetorical loop or concede to a premature conclusion that ultimately rings hollow. It is in the naming of specific barriers to forgiveness of oneself (e.g., not wanting to condone actions, fear it could happen again, desire for justice of those harmed/killed, belief only God can grant forgiveness) that veterans reveal their core values, often shaped by their moral and spiritual beliefs. We believe that by reflecting these concerns and the values they bely and collaboratively developing a plan that identifies specific tasks, rituals, or participation in communities that veterans can actively pursue, we can help move the needle in the daunting task of moral repair. Emerging research on moral injury continues to highlight the need to expand our treatment options for veterans presenting with a range of problems. We believe that IOK offers a unique but complementary approach to existing EBPs for PTSD that addresses these problems. When asked, trauma providers in a large VA medical center reported they felt IOK could be easily incorporated into their clinics and fit nicely with a phase-based model of care (Burkman et al., in press). Further research on the effectiveness of IOK across multiple clinical sites will be helpful in assessing generalizability. Aist, C. S. (2012). The recovery of religious and spiritual significance in American psychiatry. Journal of Religion and Health, 51, 615-629. Burkman, K., Purcell, N., & Maguen, S. (in press) Provider perspectives on a novel moral injury treatment for veterans: Initial assessment of acceptability and feasibility of the Impact of Killing treatment materials. Journal of Clinical Psychology. Kopacz, M. S., Hoffmire, C. A., Morley, S. W., & Vance, C. G. (2015). Using a spiritual distress scale to assess suicide risk in veterans: An exploratory study. Pastoral Psychology, 64(3), 381-390. Maguen, S. & Burkman, K. (2013). Combat-related killing: Expanding evidence-based treatments for PTSD. Cognitive & Behavioral Practice, 20(4), 476- 479. Maguen, S., Burkman, K., Madden, E., Dinh, J., Bosch, J., Keyser, J., …Neylan, T. C. (2017). Impact of killing in war: A randomized, controlled pilot trial. Journal of Clinical Psychology, 73(9), 997-1012. Maguen, S., Metzler, T. J., Bosch, J., Marmar, C. R., Knight, S. J., & Neylan, T. C. (2012). Killing in combat may be independently associated with suicidal ideation. Depression & Anxiety, 29(11), 918–923. Maguen, S., Metzler, T. J., Litz, B. T., Seal, K. H., Knight, S. J., & Marmar, C. R. (2009). The impact of killing in war on mental health symptoms and related functioning. Journal of Traumatic Stress, 22(5), 435-443. Purcell, N., Burkman, K.,Keyser, J., Fucella, P., & Maguen, S. (2018). Healing from moral injury: A qualitative evaluation of the Impact of Killingtreatment for combat veterans. Journal of Aggression, Maltreatment & Trauma, 27(6),645-673. Purcell, N. J., Koenig, C. J., Bosch, J., & Maguen, S. (2016). Veterans’ perspectives on the psychosocial impact of killing in war. The Counseling Psychologist, 44(7), 1062–1099. Steenkamp, M. M., Litz, B. T., Hoge, C. W., & Marmar, C. R. (2015). Psychotherapy for military-related PTSD: A review of randomized clinical trials. JAMA, 314(5), 489-500. 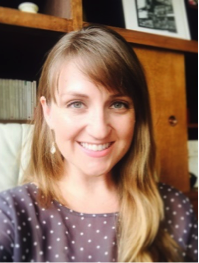 Kristine Burkman, PhD: Dr. Burkman is an Assistant Clinical Professor in in the Department of Psychiatry, UCSF School of Medicine and a staff psychologist in the Substance Use and PTSD (SUPT) Clinic at the San Francisco VA Health Care System (SFVAHCS). She provides direct clinical service and supervision for predoctoral and postdoctoral trainees in the assessment and treatment of co-occurring trauma and substance abuse with a focus on complex and developmental trauma. Dr. Burkman served as a study therapist on the Impact of Killing (IOK) pilot trial and played an integral role in developing the IOK manual and related training materials. 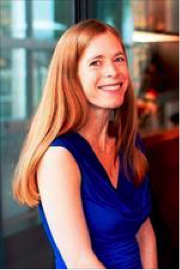 Shira Maguen, PhD: Dr. Maguen is a Professor in the Department of Psychiatry, UCSF, Mental Health Director of the Post-9/11 Integrated Care Clinic and Staff Psychologist on the PTSD Clinical Team at the San Francisco VA Health Care System. Her research interests fall under the umbrella of PTSD, moral injury, and suicide, including veteran risk and resilience factors. She is the author of over 100 peer-reviewed publications. Dr. Maguen received two VA grants examining the impact of killing in war and moral injury. Her work resulted in the development of a killing-related cognition scale and a novel treatment to address moral injury, called Impact of Killing.